It’s probably no surprise who I’d vote for next week if I were American. I’m just crossing my fingers that the gum voters get what they’ve voted for. The old ‘party’ analogy is as relevant as ever here. If you’re at a party, where you don’t know don’t know anyone, do you just stand there and shout about yourself? Or do you listen to others, share your thoughts, and do your best to fit in? When it comes to blogging, I’ve spoken about a 3 to 1 ratio before: If you write blog you should comment on at least three other blog posts to every one of yours. With Twitter, I think the ratio is much higher. Perhaps 10 to 1. Perhaps 20 to 1. I’m not sure. I don’t think it’s a bad thing to promote yourself. I use twitter to promote new artwork on ivoteforart. Like this tweet from yesterday. But I try to limit these self-promotional posts. And spend the rest of the time talking to others and posting art links that I think my followers would enjoy. In whatever conversation you’re in, be it in the blogosphere, twitterverse, or just at a BBQ, the key is to try give more than you get. It works out better that way in the end. Perhaps you’re listening to the free audio version of Seth Godin’s newest book, Tribes. Maybe you’re downloading slides and podcasts from the IDEA 2008 conference – featuring talks from some of the best web people getting around. You might be reading the latest white paper from Rubicon, which highlights the ever increasing importance of “influencers” in your marketing strategy. You could be live streaming presentations from this year’s PopTech! conference. Or maybe you’re just learning about the 10 Very Good Reasons Why You Should Grow a Giant Beard. Either way, there’s no excuse to be sitting on the couch watching crap TV. This is my post for Blog Action Day 2008. You can read a little more about it here. I’m a little late with my Blog Action day post. Although, technically it’s still October 15th, even if only in Hawaaii. Actually, I’ve been reluctant to post anything at all. Why? Because I feel cynical about writing about poverty. Iknow nothing about it, really. And neither do most of the bloggers that have been involved in Blog Action Day. This white guy, sitting in his western world house, feels ill-placed to bang out a blog about poverty on his MacBook Pro. More so, I’m cynical that I can actually make a difference to a topic as big as poverty. And I’m cyncical that any government will actually ever do much about it. I was at Live Aid a few years ago. And for a fleeting moment, I was hopeful that the members of the G8 might consider cancelling third world debt. But inevitibly it never happened. Is there anyone that can make a difference? Actually I think it is very possible that anyone, armed with a little Web 2.0 weaponary, can make a difference. 10 years ago, an idea like this would have been great, but other than writing a letter, there wouldn’t be any way to harness it. Now, with the help of a facebook group and a blog, Simon has been able to get executives at Coke to listen. You can read more about this great story here. Think of the good things that a could come out of a campaign like this. And the think about the amount of good press that a big multinational corporation like Coca Cola could generate out of this. The social media ripples would be Tsunami-like. Would beat the crap out of the recent rubbish that their marketing department have been spewing out. Others, like Google, get it. Their project, 10 to the 100 is just one example of a campaign that they’re running which really has legs to impact issues like global poverty. More and more, you’ll find examples of big companies doing good things. Some because of lip service. 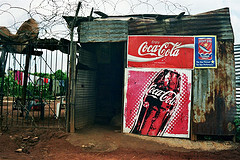 Some realise that brands will only survive this new post-globalisation era if they show some heart. But many companies are doing good because we, the people, have got the power to force them to do good. We’re now entering an era of Citizen Rennaisance. And unprecedented opportunity to change the world. The world is our oyster. There’s plenty of reasons not to be cynical. I have to say, I agree with DJ Francis. 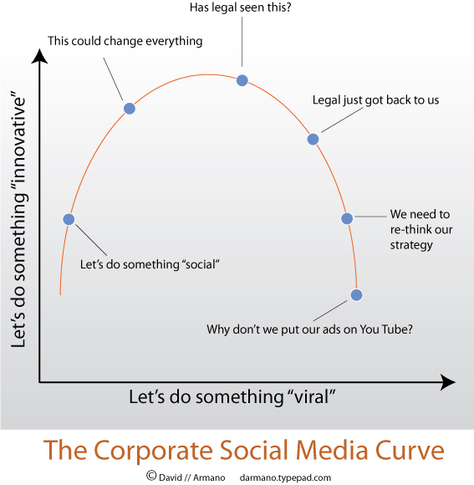 The whole, “What’s the ROI of web 2.0 / Social media?” debate is a pointless one. The ROI is in the learning – You’ll gain a whole chuck of return from the learning that you get from just being involved in social media. Return on Investment doesn’t always have to be a financial return on investment. Marketing is no longer linear – It’s unconventional. You don’t just plug in a strategy and get results anymore. You list. You respond. You make mistakes. You learn. You try again. You keep trying. Marketing, like it or not, can’t always be measured in a spreadsheet. It’s serendipitous. That’s not a bad thing. You don’t need a strategy document to listen to your customers – At the end of the day, all of this social media stuff is just a vehicle hear what your customers are really thinking. And if that’s not part of your plan, you’re in trouble. Social Media keeps you ahead of the game – The innovators didn’t wait around to see if their social media campaign delivered ROI. And as a result, they’re already ahead of the game. Take a brand like @Zappos. They’ve expermented succesfully with social media tools such as Twitter. And now they’re two steps ahead of everyone else. Who says 1.0 tactics are working, anyway? – Before we start going after social media, let’s not forget that the traditional marketing approach isn’t exactly working its socks off. Does anyone think that Coca Cola actually generate ROI with a new bottle shape or any other futile marketing exercise? It’s free! – You don’t even need to spend money on this. Just time. So the question should no longer be, “Is it worth getting involved in Social Media”. The questions is, can you afford not to? Today I learned about Twitterise, a Twitter Marketing tool that let’s you schedule messages for future publication, for sending out press releases, or advertsing messages. It completely misses the point. Twittertise allows you to advertise on Twitter and track the success of branded communications with your customers. Using Twittertise you can schedule your communications on Twitter and using URL tracking technology measure the effectiveness of your traffic driving techniques on the platform. “Twittertise allows you to advertise on Twitter” – They’ve got it wrong from the first sentence. Anyone who thinks Twitter is a vehicle for advertising doesn’t get it. Advertising does not belong here. “track the success of branded communications” – This phrase just feels slimey. The reason a brand would use Twitter shouldn’t be to track success, it should be to make connections with people. And what exactly does “branded communications” mean anymore anyway. “with your customers” – Twitter is a place for humans to talk to other humans. Start thinking of Twitter as a vehicle for “customers”, and you’re bound to turn them off. “Using Twittertise you can schedule your communications on Twitter” – Scheduling communications? So Twitterise is suggesting you should send out messages when you’re not online? Which, to me, sounds like spamming. “measure the effectiveness of your traffic driving techniques” – Wrong wrong wrong! You should never be posting tweets to drive traffic. And who even talks like this? Now don’t get me wrong here. I use Twitter to announce news and offers on my site. I’ve got Twitter search feeds set up so that I can be alerted if you’re talking about me. I’m finding it to be an incredibly cool tool to keep in touch with customers, friends, and people I admire. I’d recommend that big brands do the same. There are definitly good reasons for joining twitter. But like any other social media tool, the 1.0 approach doesn’t work. It’s not about spamming. It’s not about measuring and tracking. It’s certainly not about driving traffic. It’s about real, human connection. It’s about conversation, individuality, personality. So if your brand’s Twitter feed is being driven by an automated service, and not a real person, you don’t know a thing about what marketing is about anymore.